Are you new to campus this year, or know someone who will be? Before the fall semester begins, why don’t you concentrate on finding your way to your classes, and let us fill you in on the big events, on and off campus , around Bryan College Station. 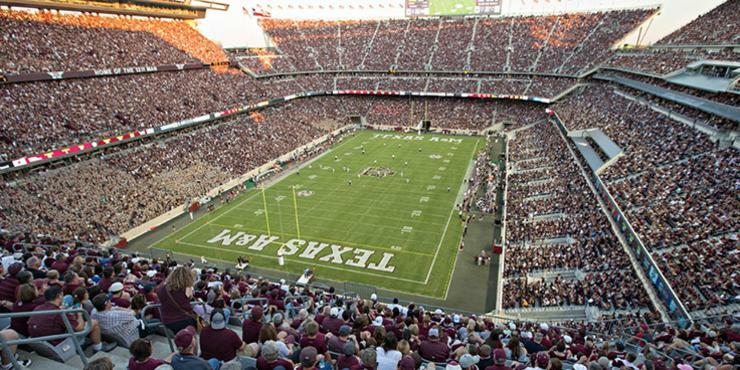 This fall, don’t miss the excitement of Fightin’ Texas Aggie football gamedays. 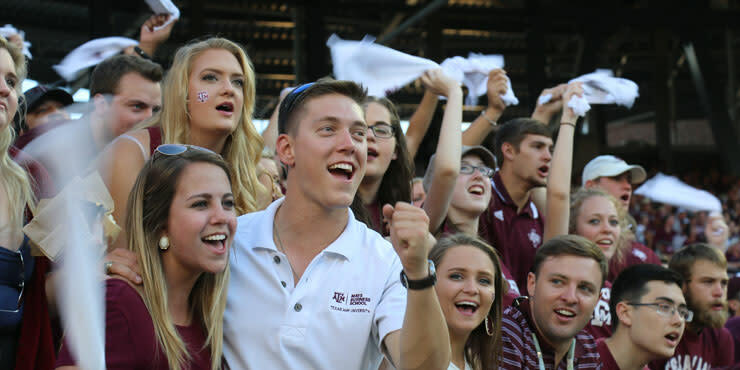 From pre-game tailgating to the singing of the “Aggie War Hymn” between the third and fourth quarters, gamedays at Kyle Field are an experience like no other. 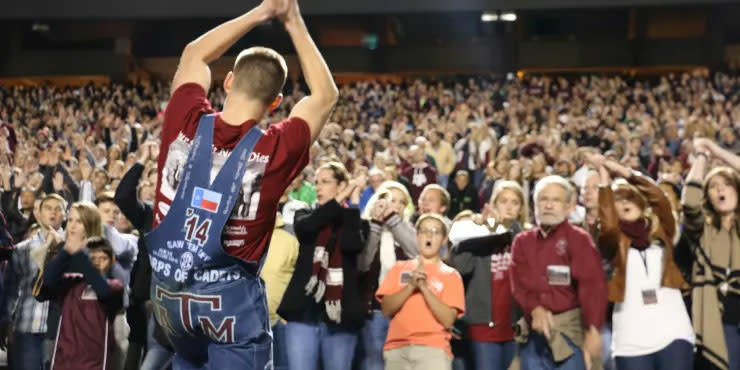 Dating back to 1913, Midnight Yell is an Aggie tradition that allows A&M fans to join in unison to yell and sing the night before every home football game. So, if you need a place to let it all out, join the 25,000+ fans at Kyle Field and cheer your Aggies on to victory! Take part in another Aggie tradition by wearing the 2018 Maroon Out shirt to the home football game on November 10th as the Aggies take on the Ole Miss landsharks! 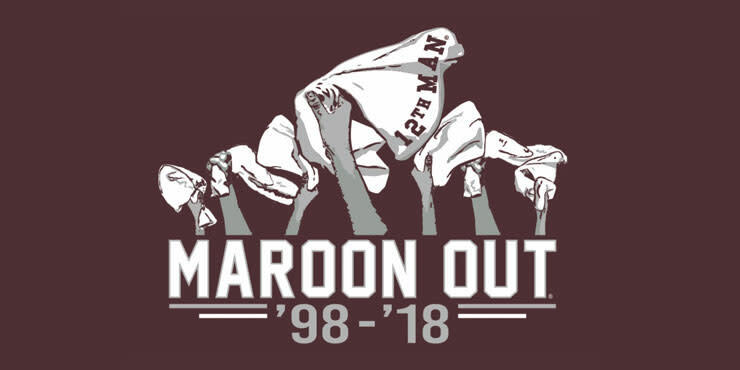 Fun fact: this tradition is so big that the first Maroon Out in 1998 caused a national shortage of maroon shirts! Welcome in the new month at First Friday in Downtown Bryan. 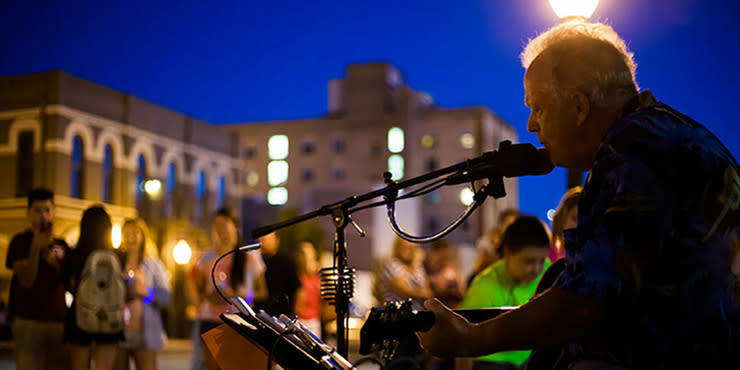 Enjoy street performers, artists, live music, and mobile food trucks on your way to checking out the stores and restaurants that stay open later in the evening. During the Third Thursday Art Step, meet local artists and explore art galleries and events as well. 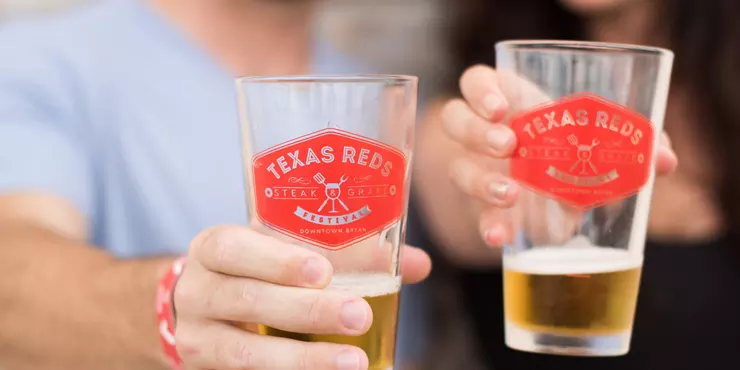 Every September, food fans gather in Downtown Bryan for the Texas Reds Steak & Grape Festival celebrating two of the area’s biggest industries: beef and wine! This three-day festival features wine tastings, craft beers, and tasting booths from 25 championship cook-off teams. 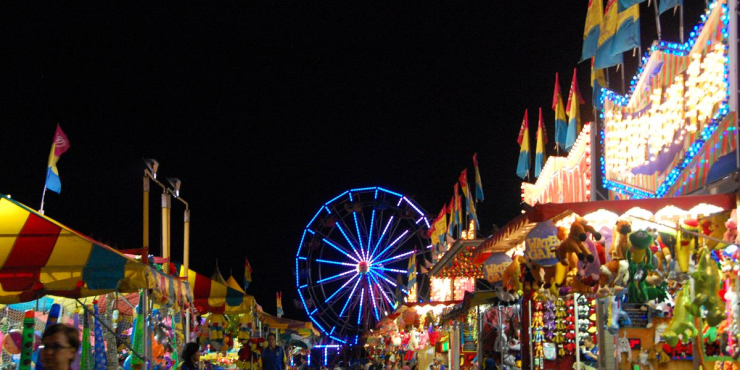 In October, break out your cowboy boots for the Brazos Valley Fair & Rodeo. Ride the mechanical bull, explore the livestock, and go for a spin on your favorite carnival ride. And yep, there’s plenty of fair food too! Find a costume and step back in time at the Texas Renaissance Festival, held nine weekends throughout the fall. 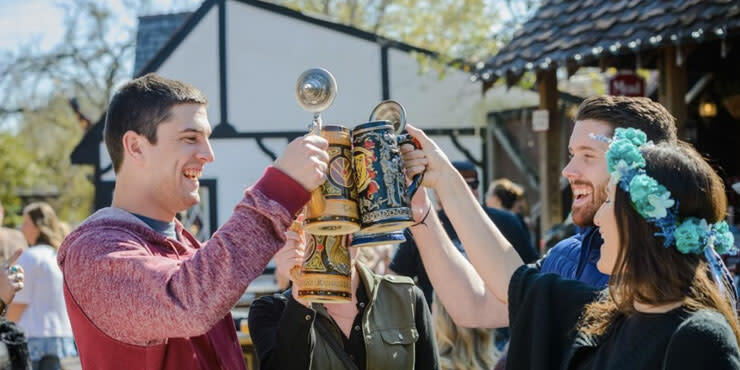 With themed weekends, visitors can explore more than 500 shops featuring craftspeople, blacksmiths, jewelry makers, and more. Join animal lovers at Wiener Fest, held every October at the Wolf Pen Amphitheater and benefitting the Aggieland Humane Society. 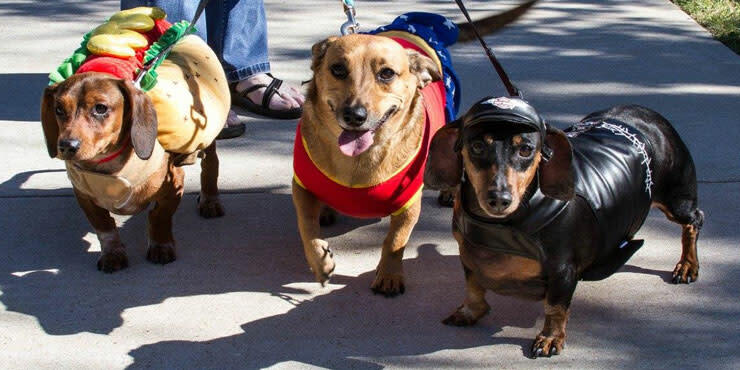 With the main event being the wiener dog race, there’s also a wannabe wiener dog race along with costume contests and pet-friendly vendors. 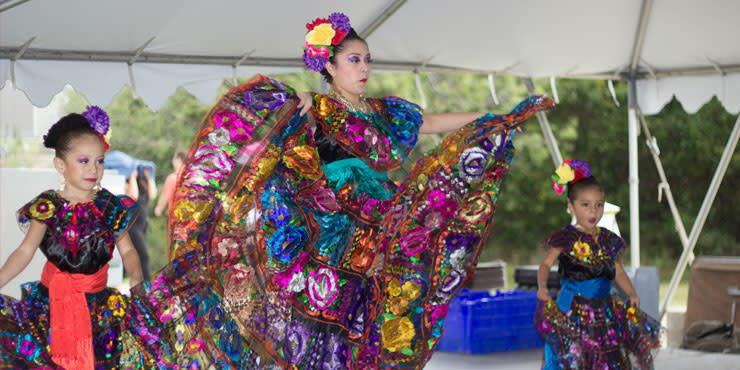 Celebrate international diversity and heritage at the annual Brazos Valley Worldfest held every November. Pick up a souvenir passport and explore more than 40 cultural displays. Sample foods, make crafts, meet your neighbors, and enjoy cultural performances at this free festival. 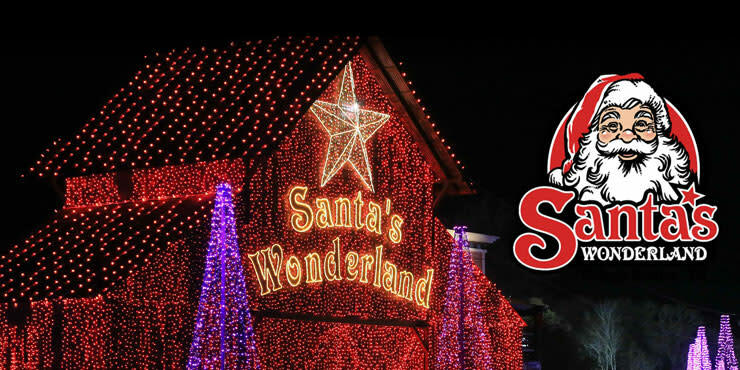 Get ready for the holidays at Santa’s Wonderland, known to be the biggest Christmas attraction in the state of Texas! Enjoy a hayride through the Trail of Lights with three million sparkling lights. Deliver your wish list to Santa and finish up your holiday shopping among the nightly snowfall. Want more? Check out all of the annual events happening in Bryan College Station.